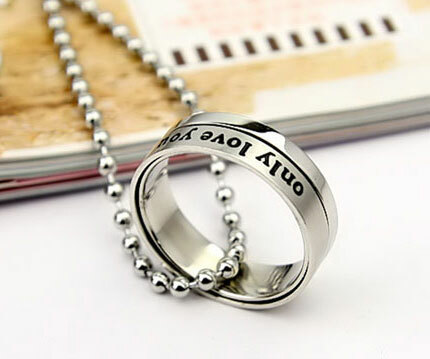 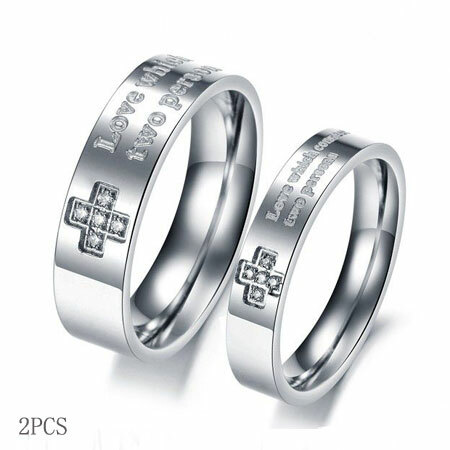 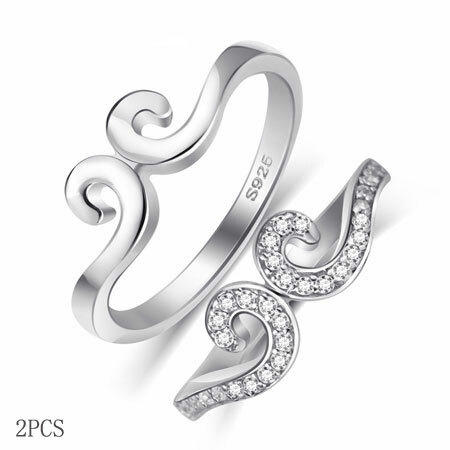 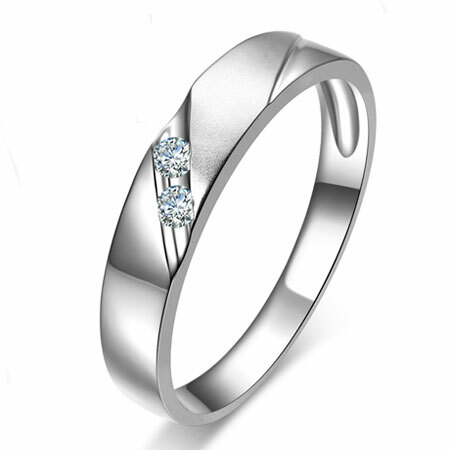 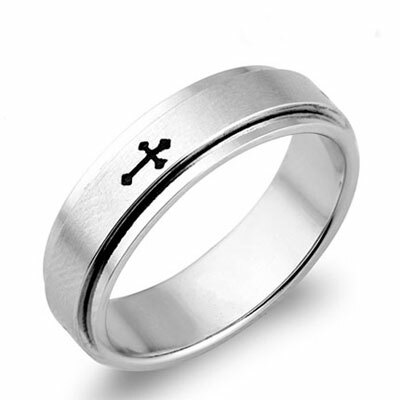 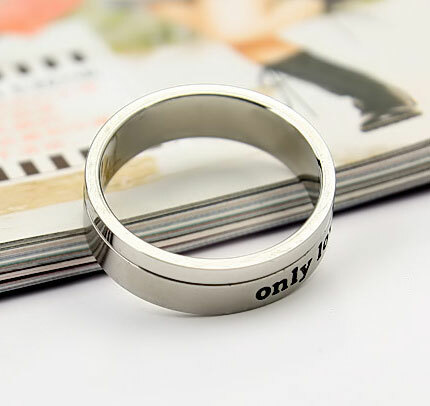 This is a perfect spinning promise ring for boyfriend. 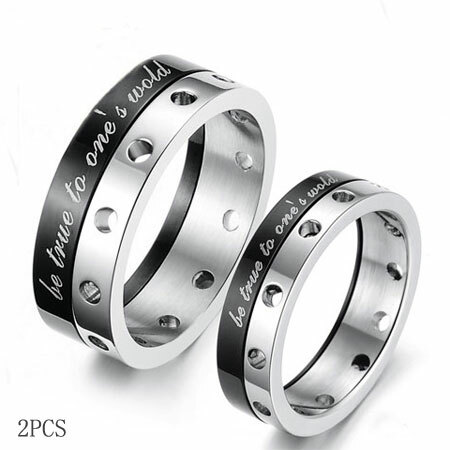 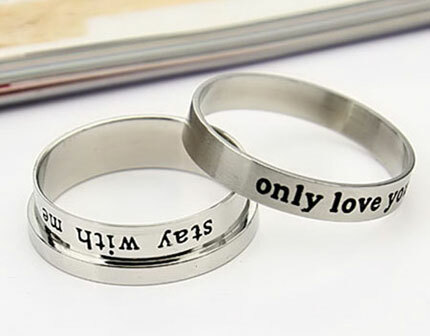 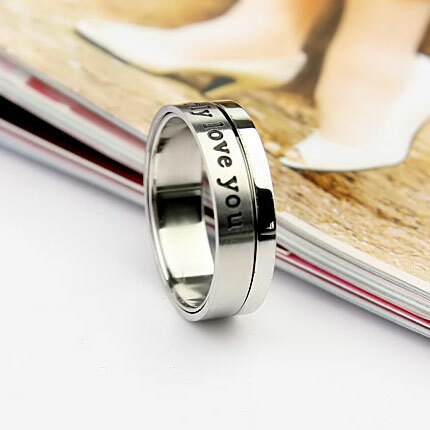 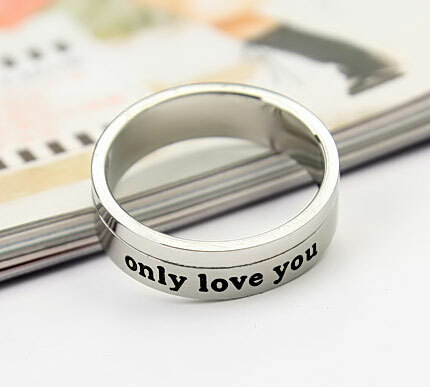 With "Love only you" engraved on the surface ring, you can remove the surface ring and see the " Stay with me" engraved on the inner ring. 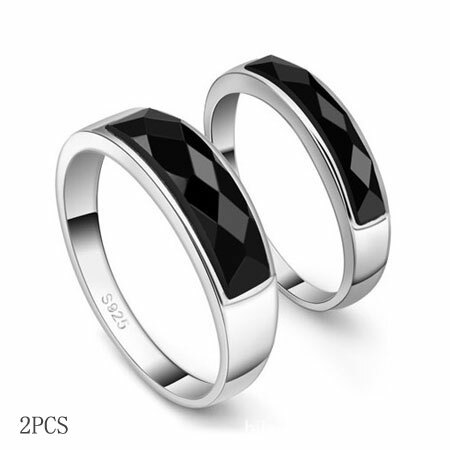 Give him both rings or send him one promise ring and keep the one ring for yourself.